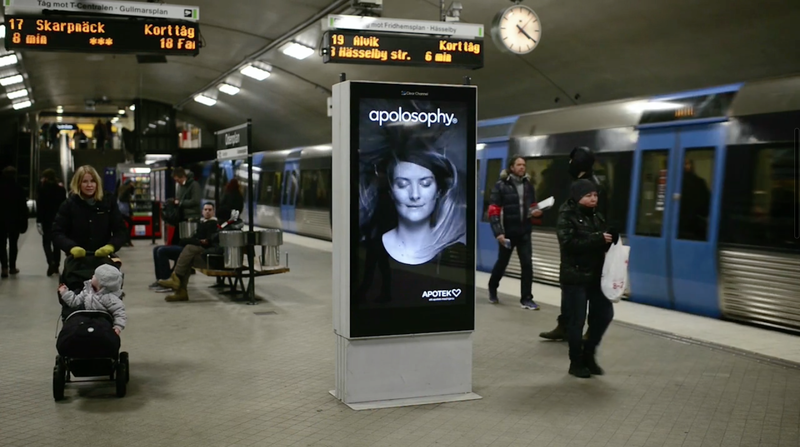 Apotek Hjärtat, a Swedish pharmacy chain, installed interactive billboards in a Stockholm subway station: The ad shows a woman whose hair get blown away as the train passes. The campaign’s objective is to promote the pharmacy’s new hair products line. A part from being interactive and creative, the promo is also consistent with and reinforces the tagline: Make your hair come alive. Your hair will become so alive that they will get blown by the wind even inside a billboard! We have seen similar moves from British Airways and Domino’s Pizza. It seems like interactive billboards will be an important trend this year in the marketing industry!